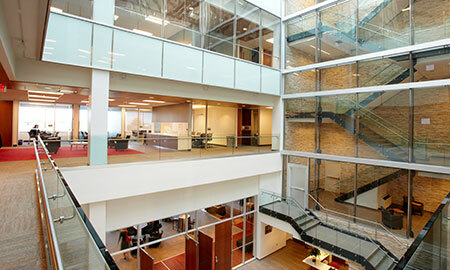 Flexible, fully accessible meeting space over three floors. Convenient location adjacent to the QEW, approximately five minutes from the Appleby GO Transit station, 20 minutes by car from the main McMaster University campus, approximately 40 minutes by car from downtown Toronto. 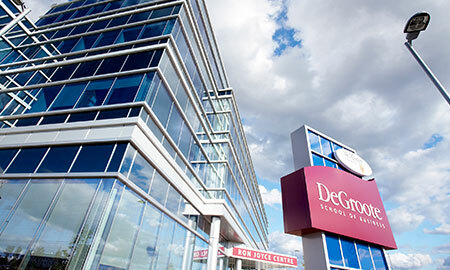 Easy accessibility to City of Burlington businesses and close proximity to hotels, services and other amenities. 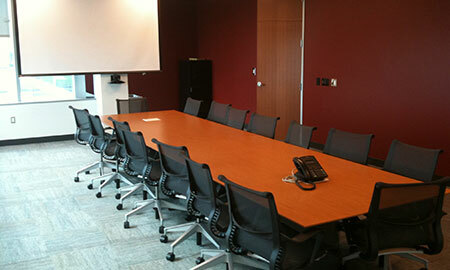 Live web video conferencing in numerous rooms. Full-service catering and attentive staff. 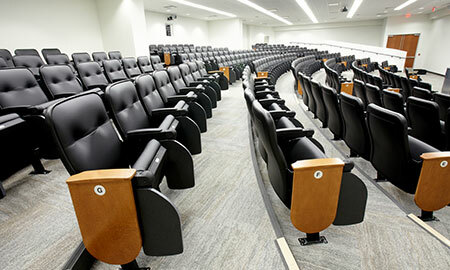 250-seat tiered auditorium with leather seats, fully wired for audio / video presentations with projectors, screens, sound system and video conferencing capabilities. 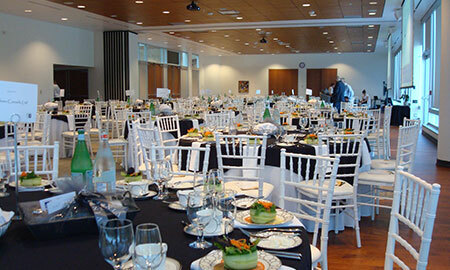 Great Hall reception space with built in audio / video system and access to an outdoor patio, perfect for formal sit-down dinners for 200 or hors d’oeuvres receptions for 400. 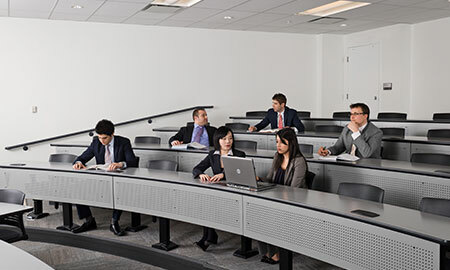 Three 50-seat flat floor classrooms equipped with LCD data projectors, motorized screens, built-in computer-in podium, microphone, document camera and smart boards. Furniture layout can be completely customized into rows, small groups, horseshoe (capacity varies based on configuration). 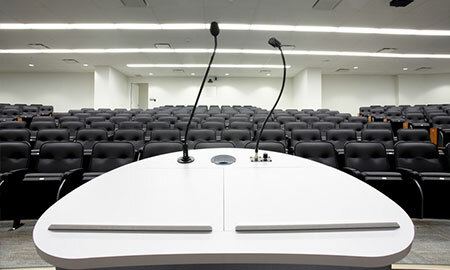 Three 70-seat tiered classrooms equipped with LCD data projectors, motorized screens, built-in computer-in podium, microphone, document camera, white board. 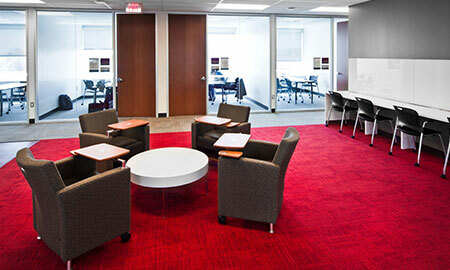 27 small group breakout rooms with capacity for 6, 8, 10 or 12 people. 16-person executive boardroom equipped with LCD TV and media controller for presentations and video conferencing capabilities.